Orthopedics is the medical specialty that focuses on the diagnosis and treatment of the musculoskeletal system. 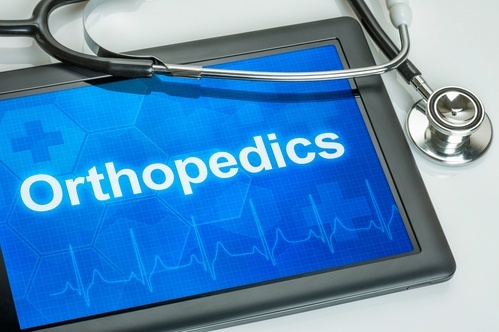 An Orthopedic Surgeon treats patients who suffer from disorders of the bones, joints, muscles and associated structures like ligaments, tendons, nerves, bones and skin. They diagnose and treat a wide range of bone and skeletal problems, from performing minor surgery like treating minor injuries e.g. a broken toe and the repair of a lacerated tendon to major surgery e.g. performing a knee replacement procedure and lumbar spine surgical procedures. Thanks to doctors specialized in this area of medicine, patients suffering from injuries and diseases of the musculo-skeletal system can be rehabilitated so they can move, work and lead an active life. Examining, evaluating and diagnosing injuries or disorders of the musculoskeletal system. Restoring patient’s strength and movement. Developing and recommending treatment plans (including medication, exercise, and/or orthopedic surgery). Tailoring physical therapy to each patient’s condition. Informing people about the prevention of bone and joint injuries. Halting or slowing disease progression and taking steps to prevent/minimize complications. Discussing treatment options with patients and helping them choose the best treatment plan to regain health, mobility, function and maximize independence. Spine Care – Treatment of back and neck pain, as well as all types of spine disorders. Hand and Upper Extremity – Treats conditions affecting the hands, arms, elbows, wrists and shoulders due to injuries, trauma, arthritis or congenital malformations. Toe, Foot and Ankle – Focuses on injuries or conditions including cartilage injuries, fractures, tendon ruptures, arthritis, osteoarthritis. Joint Care and Replacement – Addresses patients suffering from degenerative joint diseases which can include hip or knee replacement and arthroscopy. Trauma or Sports Medicine – Concerns the prevention, treatment and rehabilitation of sports injuries. Pediatric Orthopedics – Provides diagnosis, nonsurgical and surgical care for newborns and children up to teenagers. Physical Medicine and Rehabilitation – Restores the health and lost body functions following sports injuries, amputation, joint replacement or spinal disorders. Orthopedic Oncology – Treats benign and malignant bone or soft-tissue tumors. 4 years of college or university. 4 years of medical school. 5 years of orthopedic residency at an approved academic training hospital. 1- 3 years of specialized education (optional). Certified Orthopedic Surgeons are required to pass oral and written exams as well as practical and clinical evaluations, all of which are organized by The American Board of Orthopedic Surgery. If you’re not sure if becoming an orthopedic surgeon is the right field for you, an inexpensive orthopedic kit and course can help you find out before you invest a lot of time and financial resources. Orthopods have the opportunity to work alongside other health care professionals by joining multidisciplinary teams that treat complex multi-system trauma (poly-trauma) cases. They can serve as team physicians and orthopedic consultants or provide highly specialized orthopedic care for professional or high school sports teams and Olympic athletes. Orthopedic doctors also play a crucial role in managing and delivering emergency care. Learn Initial Orthopedic Skills today! Get practical experience and insight into basic orthopedic surgical principles. Suture the surgical wound in layers. Practice various open and closed reduction methods. Get an IADL approved certificate for Orthopedic training to add to your portfolio. Practice at home or wherever you are. Our kit provides illustrated examples of hands-on basic surgical skills and an orthopedic course with accompanying simulation kit. Use the orthopedic kit to complete the online future doctor’s orthopedic course! Gain dozens of basic surgical & orthopedic skills. The Future Doctors Academy Orthopedic Course and Fracture Reduction Kit are ideal for basic surgical skills workshops’ to train a wide variety of medical professionals. Suturing and knot tying techniques.